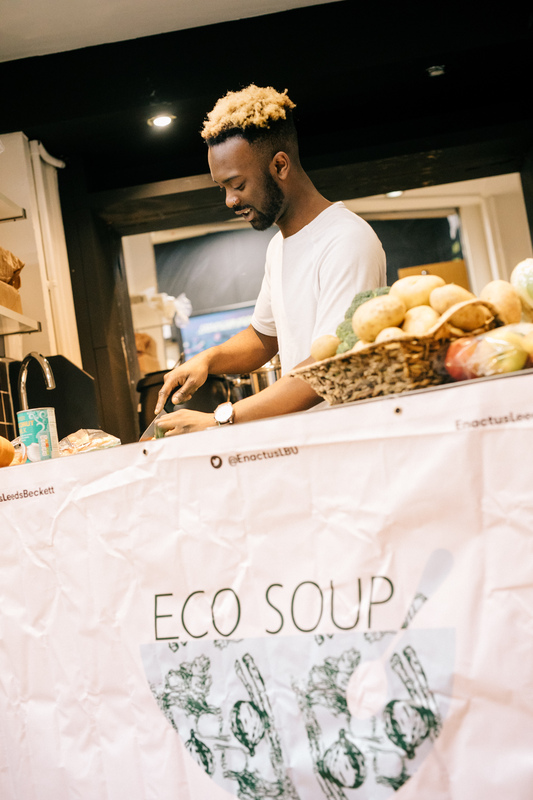 Eco Soup is a student led social enterprise tackling the issue of food waste. Using surplus food sourced by The Real Junk Food Project, students make healthy, vegan soup, which is available on a Pay As You Feel basis. The project runs regularly at both City and Headingley campus and all proceeds are reinvested in to the enterprise.